It's been another busy week for VR here at Wareable. Ahead of Oculus Connect 3, we've compiled a guide to Oculus Touch in case you still feel like dropping money on the controllers. Our PlayStation VR guide has also been updated in case you need to read up before buying the console headset. Even better, our best VR headsets has been fully updated so you can compare the devices side-by-side. With many saying 2016's the year of VR, Samsung still isn't sure if it's mainstream yet so we decided to investigate further by asking what happens next with VR. Here's everything else you may have missed this week. A controversial VR experience for Halloween has been shut down in California due to its content depicting a person with mental illness as 'demonic.' Many mental health advocates have deemed the FearVR experience stereotypical of the mentally ill community. Theme parks have been incorporating VR into their rides more often lately but this is the first time it's been protested for poor taste. For the first time, the popular VR short about a bunny and a duo of goofy aliens will be made into a full-fledged movie. Baobab Studios, led by Maureen Fan, will continue the series in VR and provide creative input but Roth Kirschenbaum production company will take the lead in making the standalone film. No release date has been announced yet. Alejandro G. Iñárritu will be making a short VR film about immigrants and refugees crossing between Mexico and the United States. Several big studios are attached including Lucasfilm's Industrial Light & Magic's ILMxLAB which has been behind the Star Wars experiences on the Vive. If you enjoyed the current Adventure Time VR game, you might want to check out the new title, Adventure Time: I See Ooo. The new game will work with Google Cardboard, but it will also be sold with a specially-made headset (that's similar to Cardboard). However, the new collection is only out for mobile devices in the UK and Nordic regions. The Google VR team has been busy making Tilt Brush cooler than ever before. Audio reactive brushes were the last update, and now you can add multiplayer mode, custom avatars, posable manikin, portal brush and zoetrope to that list. For more details on each new feature, check out Google's blog post and watch the video above to see what multiplayer is like. VR developer Solfar Studios has released a brand new update for game Everest VR and a new trailer that puts viewers inside the experience, to give a better idea of what it's like to make the summit. The update features the first expansion to the experience's God Mode, where players will now be able to zoom in and out to fully explore points of interest, compared to before where it was originally a still diorama scene of Mount Everest and surrounding peaks. 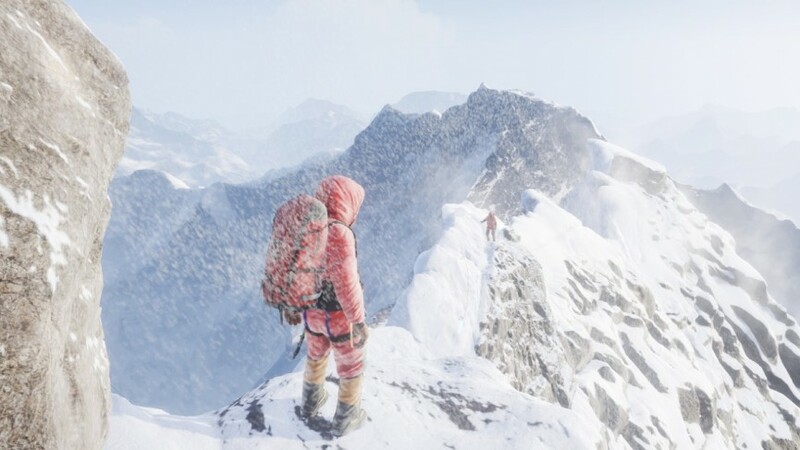 Players can also now teleport along the historic climbing routes used by Edmund Hillary and Tenzing Norgay in their 1953 expedition and the first Chinese expedition to climb the North Face and reach Everest summit in 1960. HTC Vive owners can check out Everest VR on Steam for the decreased price of $19.99. The Chernobyl VR Project was released for Oculus Rift earlier in the summer and now it's out for Vive as well for the low price of $14.99. Rather than creating an all-out horror game, there are elements of realism and somber exploration as the game tells the many stories of people who've dealt with the aftermath of the catastrophe. A portion of the proceeds will be donated to Chernobyl related charities. Check out the video above for a short making-of clip.